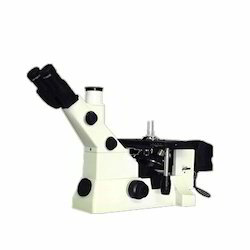 Providing you the best range of metallurgical upright microscope, metallurgical microscope, inverted metallurgical microscope and binocular metallurgical microscope with effective & timely delivery. 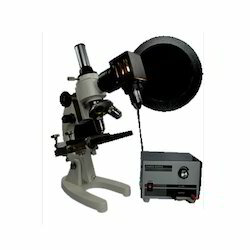 Reckoned as a leading and well known organization of the industry we are immensely affianced in presenting our patrons a distinctive quality range of Metallurgical Upright Microscope. These microscopes are known for their applications in various industries; these offered microscopes are highly demanded and appreciated. Apart from this, we ensure that these are in accordance with the industry set norms and quality guidelines by best industry experts. Being a customer centric organization we are involved in offering our clients QMM 200 Metallurgical Microscope with superior quality. Our offered range of microscopes is manufactured using supreme quality basic material and sophisticated technology at modern infrastructure unit. These products are widely demanded among the client for their optimum performance and finest quality. 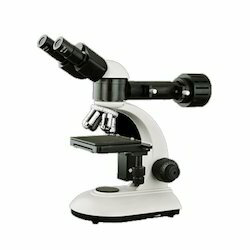 Our organization has created a niche amongst prominent and reputed organizations of the industry for offering an extensive range of Inverted Metallurgical Microscope to our vast client base. These products are used in various industries. 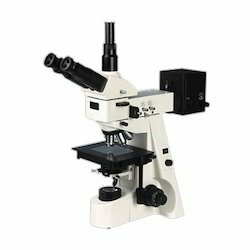 The microscope we are offering are easy to operate and offer long functional life at clients end. Apart from this, we are offering these products at leading market price. 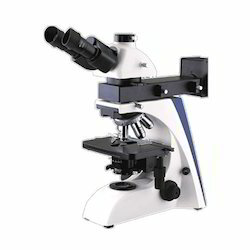 With our rich industrial experience, we hold expertise in offering Binocular Metallurgical Microscope that are sourced from authentic suppliers of the market. These products are stringently cross-examined by quality control department in line with the defined industry standards to ensure that these are flawless and impeccable at clients end. These products are highly demanded across the market for their light weight and longer service life. We manufacture, export and supply "Metallurgical Upright Microscopes" and based in India. We supply Metallurgical Upright Microscopes (one type of Industrial Microscope) to the entire world apart from India. Our Metallurgical Upright Microscopes is world class microscope and are being appreciated everywhere. Body: Trinocular Head inclined at 45-degrees. Focussing: Both side Co-axial Focussing Knobs. Stage Large: Co-axial Mechanical Stage for x-y movement of specimens. filter slots and bulb centring mechanism. Objectives: Achromatic DIN M4x-M10x and M40x. In order to meet the diverse requirements of our valued clients, we are offering an exclusive range of Metallurgical Microscope to our prestigious clients. 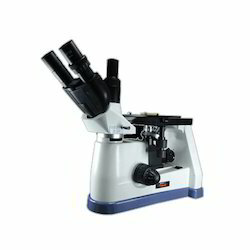 These microscopes are able to give optimum performance for a long time period of time. This product has been designed and developed by best industry experts by using quality approved material which is sourced from reliable vendors of the market. The entire range of this product is fully tested against numerous quality parameters. Backed by a most advanced infrastructural set up, we are providing a quality approved assortment of Inverted Metallurgical Microscope in the market. Skilled professionals precisely inspect the complete assortments of these products on various provisions of quality in order to supply defect free range at customers' end. These products are processed by inculcating superb quality production material and modern technology employing highly experienced workforce. Along with that, these products can be avail from us at market leading rates. 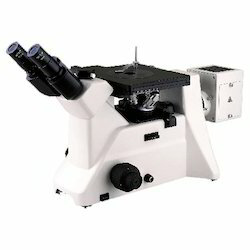 Being one of the reputed organizations of the industry, we are offering an large range of Inverted Metallurgical Microscope to our precious clients. Our offered products are manufactured using the supreme quality components and top notch technology under the supervision of skilled personnel. These products are checked on preset quality parameters, in order to offer error free products. Through regular research and development, we are offering a wide collection of Inverted Metallurgical Microscope to our valuable clients. These microscopes are precisely designed in accordance with the set industry norms at advanced manufacturing unit. Offered in a variety of specifications, these products are used for different industrial applications.